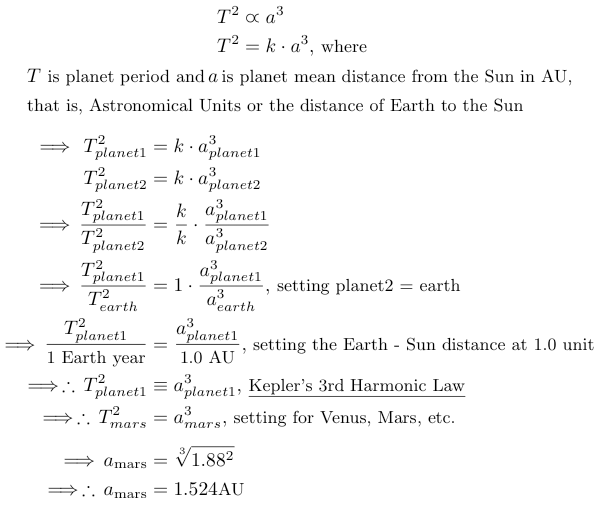 Kepler's Equations of Planetary Motion. Tycho Brahe ( 1546 - 1601 ) who was born in Skane, Denmark [ now in Sweden ] left his homeland with his books, planetary data, and instruments after falling out with King Christian IV and settled in Prague in 1599 as the Imperial Mathematician in the court of Emperor Rudolph II. In Prague in 1600 until his death in 1601 he hired Johannes Kepler ( 1571 - 1630 ), Austrian mathematician and astronomer, as an assistant to continue the calculation of the planetary orbits. 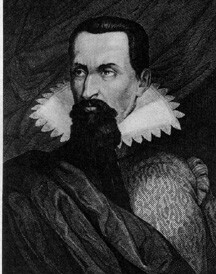 Kepler knew that Tycho's unprecedented data were accurate to within 1 - 2 arcminutes and in fact was never off as much as 8 arcminutes. In fact Tycho is credited with having established the most accurate astronomical data of his time! Kepler published the First and Second of his three laws of planetary orbits in his "Astronomia Nova" ( 1609 ) and his Third Law in "Harmonice Mundi" ( 1619 ). Kepler's Laws describe how the planets move, not why. 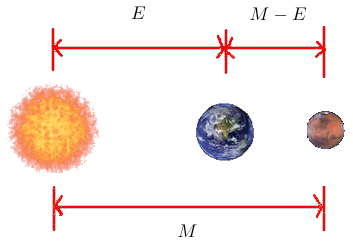 Therefore, Kepler's Laws are empirical, not physical laws of planetary science. It took the mathematical genius of Isaac Newton ( 1643 -1727 ) in his "Philosophiae Naturalis Principia Mathematica" ( 1687 ), commonly known as the 'Principia', to correctly describe in differential and integral mathematics the correct physical explanation of gravity and hence of planetary orbits. 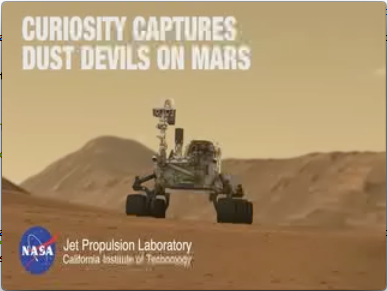 That is, Mars is 1.524 times the distance from the Sun as is Earth's distance from the Sun. 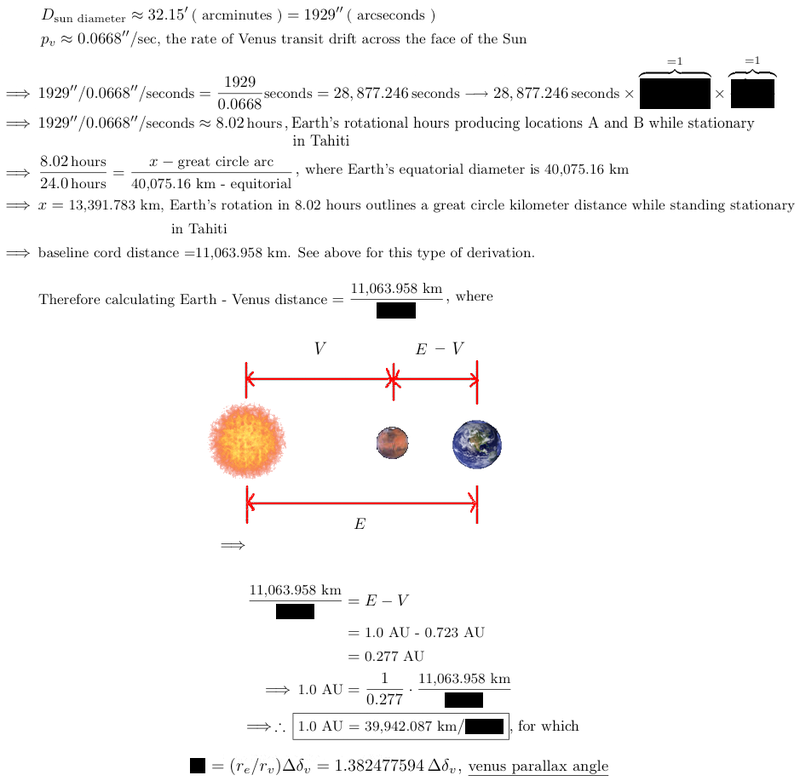 However, the actual absolute value of 1.0 AU, the Earth - Sun distance, at this point is still unknown! This answer was determined by Giovanni Cassini in 1672 by using the mathematics of Parallax and came within 93.3% accuracy of the modern accepted AU value. A 7% error in 1672! The consequence of this determination of 1.0 AU in 1672 will be the first approximation of the universal constancy of the speed of light in 1676 by Danish astronomer Olaf Roëmer, assistant to Cassini at the Royal Observatory, Paris!! But in the case of the Tahiti voyage of Captain James Cook and Charles Green in 1769 in the Transit of Venus, contrary to Giovanni Cassini, Jean Picard and Jean Richer a 100 years earlier in 1672, there is no obvious baseline ( tunnel ) "corded" distance for '?' 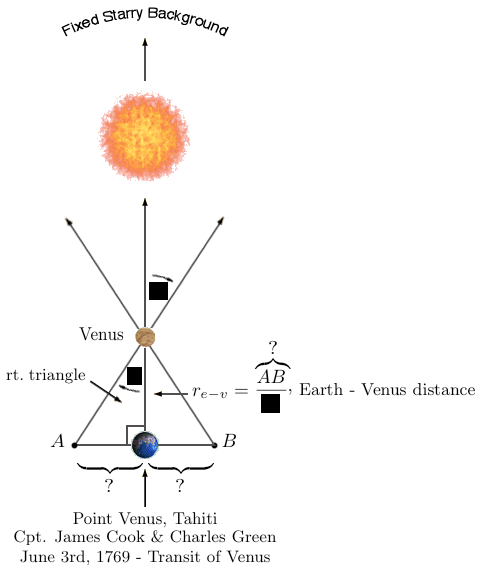 as these English gentlemen astronomers basically remained stationary in Tahiti, except to establish bases in the out islands and inlet bays of Irioa Island just off the western tip of adjacent York Island ( Moorea ); Fort Venus ( Matavai Bay ); Morton's Island ( Taaupiri Island ) just off the east coast of Tahiti; and the ancillary island of King Georges Island ( Ota - heite )! How then to discern '?' ? Ha! 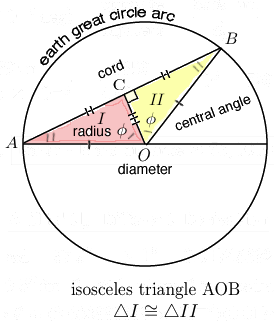 Aristarchus used correct Euclid geometry but his instruments for observation were inadequate - the true value is about 390 times further away! "Selected Astronomical Constants", The IAU 2009 System of Astronomic Constants (1) as published in the Report of the IAU Working Group on Numerical Standards for Fundamental Astronomy (NSFA, 2011) and updated by resolution B2 of the IAU XXVII General Assembly (2012), (2) planetary equatorial radii, taken from the report of the IAU WG on Cartographic Coordinates and Rotational Elements: 2009 (2011), and lastly (3) other useful constants. 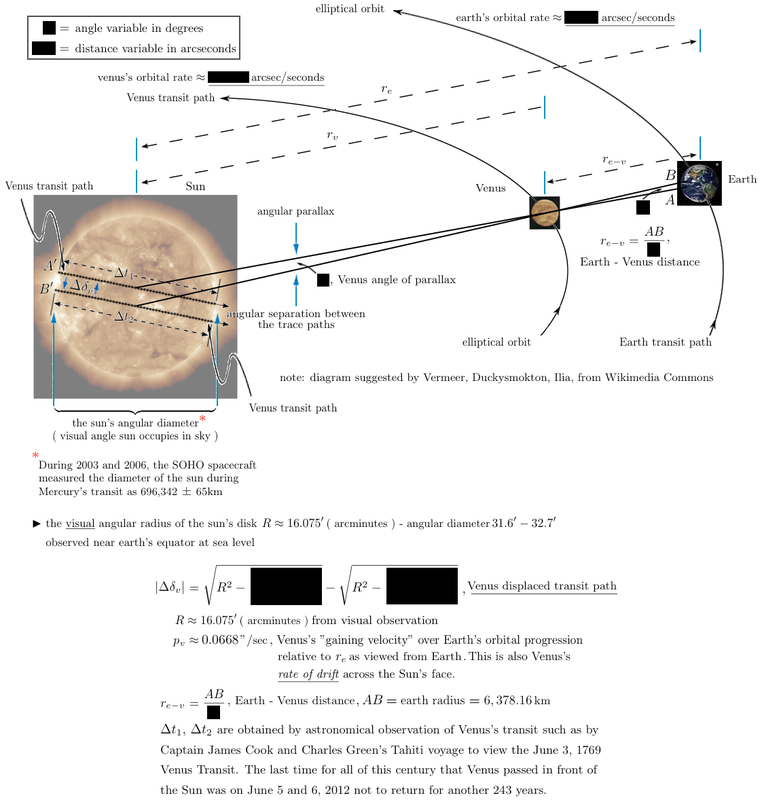 "Measuring The Solar Radius From Space During The 2003 And 2006 Mercury Transits", authors M. Emilio, J.R. Kuhn, R.I. Bush, and I.F. 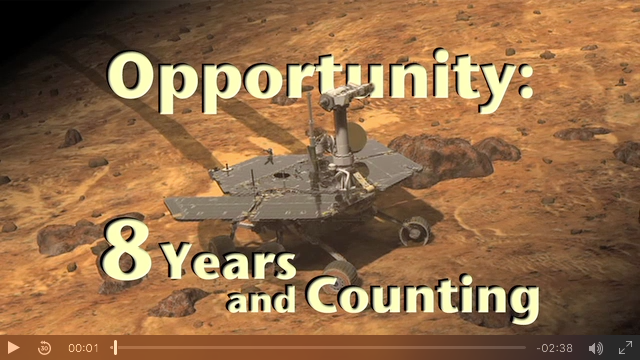 Scholl, accepted March 5, 2012 Astrophysical Journal.